Competitors are given a list of TOEFL Test Centers and Dates from where they can pick a particular test date and center for taking the test. TOEFL is conducted several times a year at 4,500 test centers across the globe. 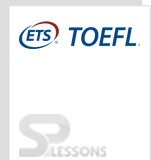 However, allotment of TOEFL test date relies on the availability of seat for the TOEFL test. TOEFL test dates usually fall on Fridays, Saturdays, and Sundays, allowing working people to take the test. The TOEFL test date, in any case, varies according to the country and location of the test center. While some countries may have particular test dates, in others the TOEFL test date would rely upon the availability of the test center. The best way to find TOEFL test dates is to check the dates against the test center in your preferred location. Here’s how you can check TOEFL 2017 test dates at your preferred locations.